The Bible teaches that ALL MEN are sinners. (Romans 3:23) This includes prophets too. ALL. Most Muslims believe that all the prophets were sinless. Is there a basis for such a belief? Unfortunately the Quran does not suggest this. 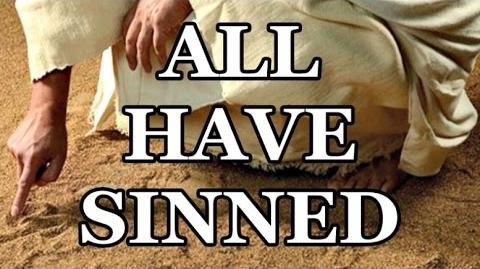 On the contrary, the Quran does admit that the prophets sinned. MUHAMMAD sinned. Quran and Hadith is clear about this. Is lying a sin in islam? Is hatred sin? Is plotting murder a sin? Is hiring an asassin a sin? Is deception a sin? Is murder a sin? Here is one hadith that shows muhammad guilty of all of the above. What about Jesus? The Bible says He knew NO sin. Quran says: “Jesus… distinguished in this world and the Hereafter..” 3:45 Not a single other prophet was spoken of in this manner. Do you know where your belief that the prophets are sinless came from? Not the Quran. It came from a scholar only in the 12th century AD, by the name of Abdulrazak who began teaching this falsehood 500 years after Muhammad! So as not to contradict their own Quran, Muslims now say that the prophets didn’t sin but they made MISTAKES. 🙂 And that they were protected from MAJOR SINS but they were susceptible to minor sins as human beings. Moses killed a man! Is this just a little mistake and a minor sin? The Bible is not afraid to speak the truth about the prophets and even detail their sins. Muslims try to cover up the sins of their prophets. What is there to hide? The fact is all men are sinners and need the grace of Almighty God who is perfect.